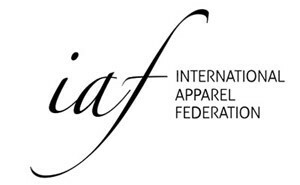 IAF’s mission is to unite all stakeholders of the fashion and apparel industry, including brands, retailers, manufacturers, suppliers and country associations from around the world to enable and promote smarter, stronger, more sustainable supply chains. Developing with its members a global vision on the industry’s optimal development, broadcasting this vision to its members and stakeholders and engaging with its members in projects to actively support the industry’s development. Representing the industry in global platforms with the aim of achieving a greater level of global harmonization of rules and regulations. Sharing a wide range of information obtained from our global network with our members. Connecting its members across the globe supporting them in expanding their own international network and thereby their ability to do or support the growth of their or their members’ international business. The IAF is proud to represent one of the most impactful and fascinating industries on our planet. It is an industry with many faces and it contains many of the positive and negative aspects associated with heavily globalised industries. The IAF believes that the apparel industry has a net positive effect on the societies that it is part of and that the industry has the ability to cooperate globally to enact positive changes. The IAF believes the industry is turning itself into a more ‘normal’ industrial sector with a greater reliance on knowledge, technology and innovation. It believes that fragmented regulation is an unnecessary cost factor for the industry and that this situation can be improved also by global cooperation of the industry. Going into detail, the apparel industry feeds a retail market of 1.3 trillion US Dollars according to Euromonitor. Including sales figures not officially recorded the apparel industry feeds a retail market in the vicinity of 2 billion US Dollars. It employs tens of millions of people worldwide. For more detailed information click on www.iafnet.com/industrystatistics . Apparel has a relatively large impact on our lives because it’s production is labour intensive, because apparel is worn by everybody and because clothing is so much woven into the expression of our personal identities and our position in society. The industry often is a positive force in the industrial development of a country. It is often a first step into industrialization and, later, a first step in the development of a more design oriented economy. In all phases of its development, the industry has a large impact on economies and on societies. In some countries the industry is the largest employer, in others it is the most visible component of a growing creative industry. However, the industry in 2017 also faces grave challenges, the greatest of which are labour conditions and sustainability (global responsibility), the need to become a more knowledge intensive industry, the mismatch of supply and demand and the need to prevent governments to overregulate our industry, trying to solve the industry’s challenges in fragmented, costly but ineffective ways. Solutions to these problems are very much interrelated. A best case scenario sees an industry that has invested in its people, in its equipment and in its relations leading to a more sustainable, transparent and effective industry. In this scenario, the industry can support the industrial development of countries with rising wages supported by rising productivity. It can support the creation of new jobs in high cost economies through the emergence of new fashion brands. Meeting these challenges and creating the best case scenario requires global corporations, which is what the IAF offers. Many retailers, brands, manufacturers, solution providers and industry associations are already working hard to further improve the industry. By building bridges across continents and helping to link national or regional solutions to form international ones, the IAF is supporting the industry’s positive growth.